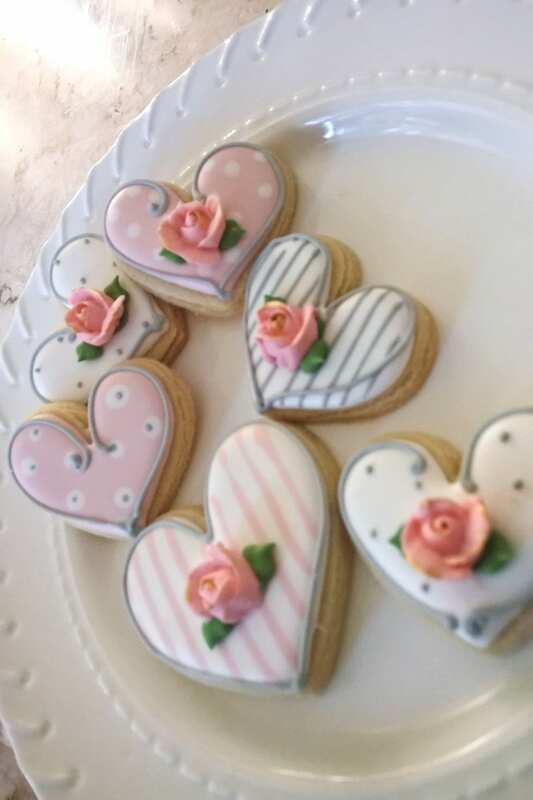 A dozen of Shabby ChicTheme Heart Cookies with Rosebud accent. They will be individually wrapped in self-sealing cellophane. Mini cookies in the photos are not included. They're only for size reference. Since these cookies are handmade individually, please note that there will be some slight variations in color and size. Prepared and processed in a kitchen where allergens such as dairy, almonds, and other nuts or nut bi-products are used. If any of these posts any kind of harm, please do not purchase. 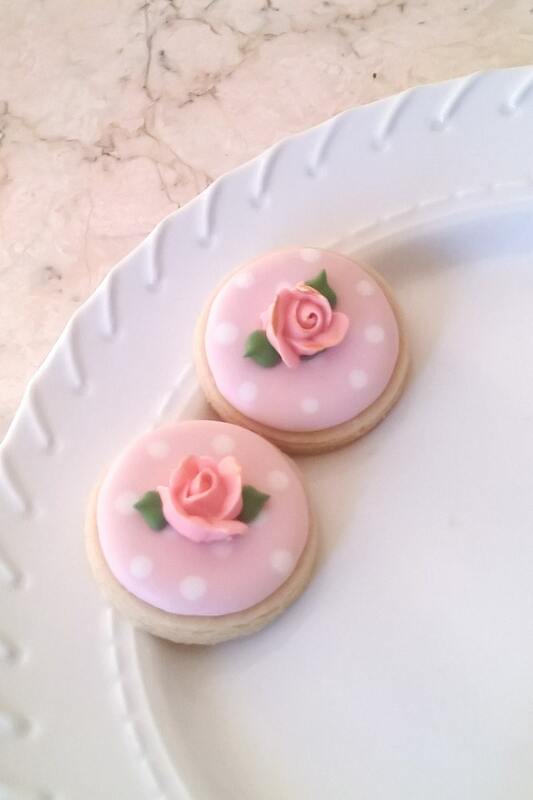 So thrilled with the quality of these cookies! Beautifully decorated and delicious! Highly recommend!! 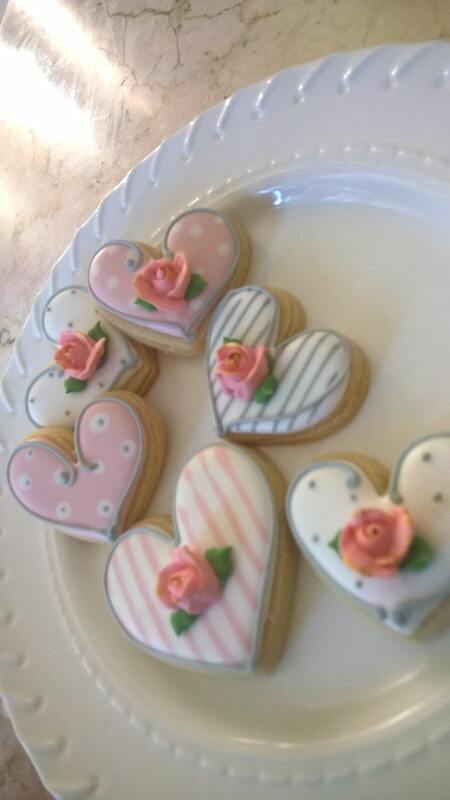 Cookies were beautiful! And tasted great! Very happy with them for my friend's baby shower!